Five Concertos Every Beginner Violinist Can and Should Play! So, my daughter who has been playing for a couple of years is playing well enough that she has been able to start doing some concertos. I love it, and am on a concerto kick right now. Well, it got me thinking, "Could I come up with a list of the top five best violin concertos for beginners?" And the answer is....YOU BET! It wasn't a simple task because I was VERY PICKY! They needed to be pieces that a beginner who knows first position, simple rhythm, and basic bowing could learn. I've listened to and studied over 20 concertos to narrow it down to five that fit the bill. Benefits to students learning full concertos. I love concertos because I feel like they allow the violinist to begin to see the possibilities. Concertos help beginners blossom into intermediate players and open up their instrument to emotion, new sounds, and new technique. Some concertos are definitely better suited to beginners than others, which is why I'm here. I've done the back breaking research (hey, sitting at a computer can be very bad for one's back) and the results are in. Whether you are an adult or a child, playing these concertos for beginners will cause you to fall in love with the classical violin. I must warn you, however, these awesome beginner violin concerts have a habit of transporting beginner violinists into the realm of intermediate musicianship! **I know that some of these have "concertino" in the title and not "concerto", but by definition a concertino is a simple or short concerto. So, y'all save your law suit and emails for another day please. **Sidenote: I am listing these concertos in Ascending order in level of difficulty beginning with the easiest. Both my girls are learning the first movement in preparation for soloing with our local orchestra. This concerto does have an orchestra score which makes it really fun if that is a resource you have available to you. This one is in a minor key, and has a very beautiful sound because of it. It also has some accidentals (1st and 3rd fingers) but nothing my daughter who just learned Indian Concertino couldn't handle. The first movement and second movement are easier and gorgeous. The third movement jumps up a level in difficulty. The third movement ends in fast sixteenth notes! 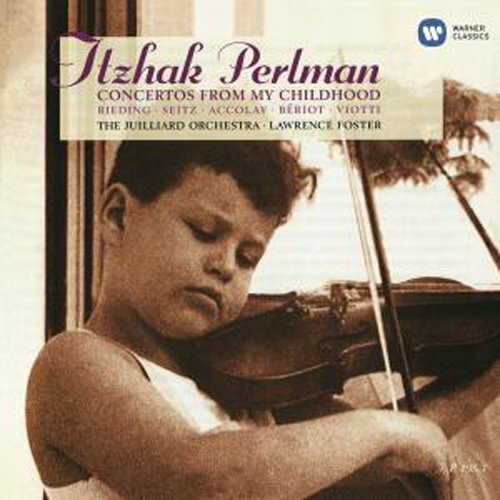 Itzhak Perlman made a recording in 1999 titled "Concertos From My Childhood." One of which is the Rieding Op. 35. It's brilliant! Itzhak said that he learned this song well before the age of 8. Every violinist should play this song. This beautiful violin concerto can be found for FREE HERE. This is my son's favorite concerto out of the bunch, and I can see why. If you are wanting a classical and professional sounding yet VERY easy concerto this one is for you. The rhythm (until the 3rd movement) is mostly 8th, quarter, and half notes. There are a couple of runs and accidentals that might be tricky, but also outrageously fulfilling to master. My favorite is the 2nd movement. For some reason it reminds of Ave Maria; it's got a gorgeous melody. I REALLY like Kuchler's work. 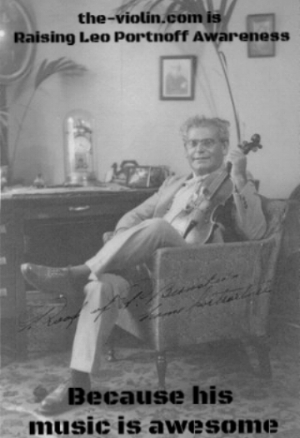 He was a great violinist and dedicated much of his time to the pedagogy and teaching of violin. So, he truly understands what beginner violinists know and are capable of, and has written this piece specifically with them in mind. When your student has advanced to third position also check out his Op. 12 and Op. 15 (in the style of Vivaldi). It's another fantastic Kuchler piece. Ready to step it up a level? This concerto is on the back end of beginner as it has quite a few flat accidentals, meter changes, some basic double stops, and chords. But it is well worth working up to! I feel like the first and third movement are mini concertos within a concerto. Particularly the first movement begins very melodic, slows down in the middle then has a very fun and showy ending. I first fell in love with Portnoff when my older daughter learned his Russian Fantasia work (more advanced). The Russian Fantasia is a marvelous composition!! It was that piece that led me to this concerto. Born in Ukraine in 1875, I feel like Portnoff is an underappreciated and underplayed composer for beginning to intermediate violinists. I'm here to raise Portnoff awareness! Let's fill the concert halls and classrooms with more of it! Find this awesome Op. 13 for FREE HERE. Last but not least is another 'ancient' concertino I played in my childhood. Written in the romantic period (three cheers for romantic style), this mini concerto is one movement with 3 sections. There is a decent sized section of 16th note runs up and down in the first section. Fortunately it is in a simple key with accidental c sharps also coming to the rescue. The middle section can prove challenging because of the flats in the key signature. Huber truly is testing beginner violinists with his added sharp accidentals. The left hand is frequently stretched a step and a half between a low flat first finger and a high sharp second finger. I have to say that the last page is one of the first times I can I remember experiencing the "violinist high." The double stops utilize mostly open strings so they aren't terrible hard to play but will wow any audience. In addition to the double stops, Huber has pulled out all the stops with his rushing 16th note interludes. He has created an overall effect that leaves one believing the violinist has shifted to higher notes in third position even though it stays in first position the entire time. You can find this adrenaline pumping, finger challenging beginner concerto for FREE HERE.